Choquequirao is an Inca City ruin that is located at 3,050 meters above sea level in the Cusco region of the Province La Convención. The site, although not as impressive as Machu Picchu, has a very similar structure and architecture, and is well worth the visit. This article describes the Choquequirao trek to Machu Picchu – a quiet, challenging and fantastically beautiful adventure – that provides a unique alternative to the busy Inca Trail, whilst also giving trekkers the opportunity to visit both Choquequirao and Machu Picchu. For trekkers who have already visited Machu Picchu, the Choquequirao trek can be completed as a standalone hike, and unlike the Inca Trail does not require a permit or guide (see below for details). Choquequirao, meaning Cradle of Gold, is an Incan City built during the late 15th and early 16th century. It is thought that Pachacuti, the Incan Emperor responsible for commissioning Machu Picchu, founded Choquequirao, which was then passed on to his son, Tupaq Inka Yupanki, who then extended and remodelled it. The site is located above the valley of Apurímac river, 98km from Cusco and in the Willkapamba mountain range, and covers an area of 6 square kilometres. Restoration of the site began in the 1970s and still continues today. As of 2014, nearly 50% of the site had been excavated. Choquequirao can only be reached by hiking 2-3 days from the towns of Cachora, Huanipaca or Yanama. Almost all commercial treks start from Cachora. The construction of a cable car that will carry tourists to the city’s Citadel has been prioritised by the Apurímac Regional Government, and 220 million Peruvian Soles (~$75 million) has been ear-marked for the project. Government proponents believe the cable car plan will result in over 200,000 visitors coming to the site a year, and generate $4 million p.a. For now though the site remains largely hidden from tourist hordes, and provides a unique and quiet experience for rugged trekkers willing to hit the trail. 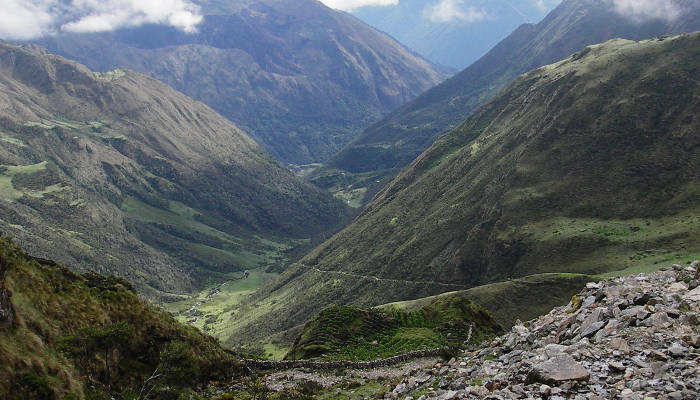 The Choquequirao trek to Machu Picchu has a number of route and itinerary variations. Treks can last anywhere between 5 or 10 days. The itinerary set out below is for a 9 day Choquequirao trek to Machu Picchu. Note: There are also a number of options to do standard treks to Choquequirao, with land transport additions to Machu Picchu. We briefly set these out in the section – Alternative Choquequirao Treks below. Here is a typical 9-day Choquequirao trek to Machu Picchu itinerary. It is advised that you spend at least two days in Cusco acclimatising before beginning your trek. Most tour operators will organise hotels and excursions in Cusco for these all important acclimatisation days. Cusco is unfortunately relatively high at 3,400m / 11,150ft so you will undoubtedly start feeling the altitude as soon as you arrive. Try not to exert yourself whilst in Cusco and drink lots of water. You can read more about acclimatisation and altitude sickness here. The trek starts with a 4-5 hour drive to Cachora (2,900m / 9,514ft). 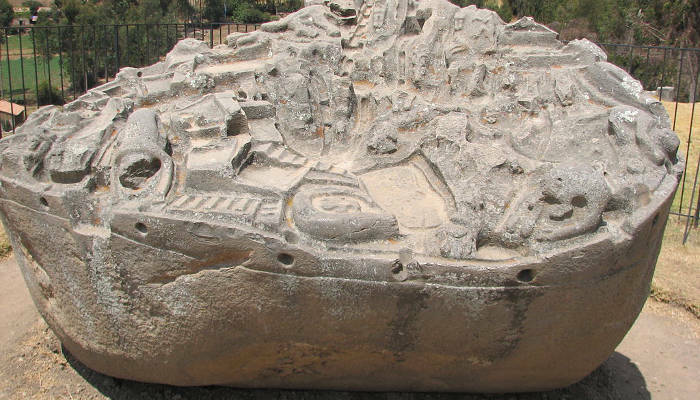 On the way many tour operators stop briefly at Sayhuite (just south of Cachora), an incredible boulder carved by the Incas (see image below). Some operators overnight at Cachora, which lengthens the total tour by a day but does provide some respite after a long drive from Cusco. 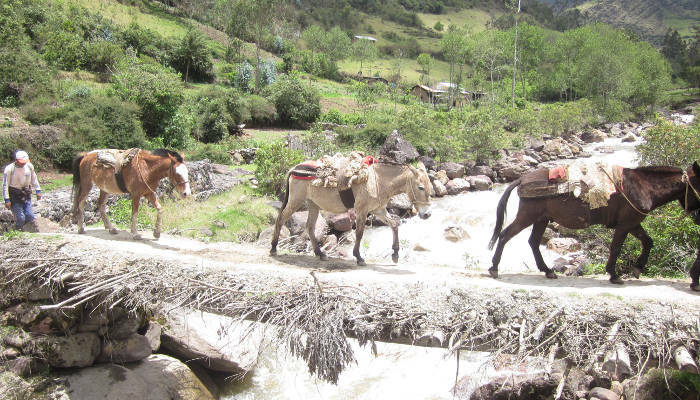 Typically though, tours have lunch and meet their support team and mules in Cachora before beginning their trek to the campsite, Chiquisca (sometimes written Chiccisqa at 1,835m / 6,020ft). The trek to Chiquisca involves a two-hour hike through the Apurimac Valley to Capuliyoc (2,915m / 9,560ft), and then a steep three-hour descent to the campsite. From Chiquisca (1,835m / 6,020ft) you will wake early and descend further into the valley before crossing the Apurimac River (approx. 1 hour trekking). Once you have crossed the River you begin a two-hour ascent to Santa Rosa, a small campsite where you can rest and refill water bottles. From Santa Rosa you continue ascending, first to Marampata (2,913m / 9,560ft) where you will have lunch, and then onto your campsite just below Choquequirao (2,950m / 9,680ft). The trek between Santa Rosa and Choquequirao takes between 4-5 hours and is pretty tough. There are bathrooms and cold-water showers at the Choquequirao campsite. The archaeological complex of Choquequirao is large and can take a full day to explore properly. Archeologists have divided the site into 12 sections. Your tour operator will most likely provide a tour of the Citadel, but make sure you visit the ceremonial centre, main platform and the lower plaza. Towards dusk you might get lucky and spot condors that frequent this part of the region. 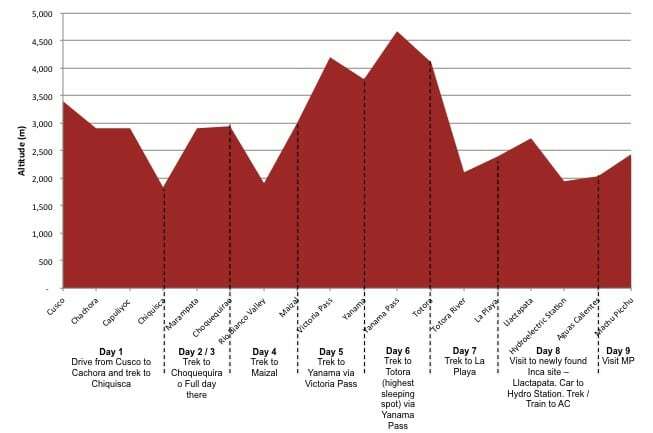 Day 6 begins with a climb up to the Yanama Pass (4,668m / 15,315ft) – the highest point on the trek. From the pass the trail descends to another small village called Totora (4,100m / 13,450ft). You will camp here – the highest point you will sleep on the trail. Thankfully you should be well acclimatised by this point. Day 7 involves a long and winding descent of nearly 2,000m to the Totora River. Trekking poles to reduce the impact of the descent on your knees come in great use throughout this day (see our Inca Trail packing list for details). From the river the trail ascends slightly to the village and campsite at La Playa (2,400m / 7,870ft). From La Playa some tour operators take local transport to Lucma, which is about a 20 minute drive, or if no transport is available the route can be hiked. From Lucma the trail ascends for 3 hours to a newly discovered Inca site called Llactapata. From here the trail descends for 2 hours to the Hydroelectric Station where trekkers catch a train to Aguas Calientes (2,040m / 6,690ft). 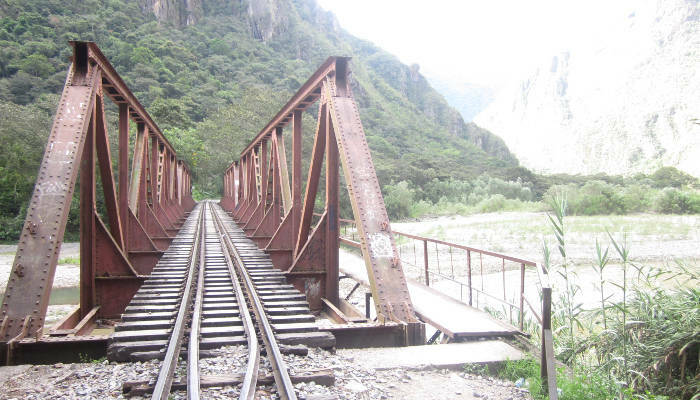 One can also walk from the Hydroelectric Station to Aguas Calientes (approx. 2 hours). You will overnight in a hotel in Aguas Calientes and have a chance to swim in the town’s famous hot springs, although these are often over-crowded with tourists and trekkers. Day 9 starts early with a short bus ride up to Machu Picchu. From here most operators offer 2-3 hour guided tours of the city. If you still have the energy and are not afraid of heights, we highly recommend booking a climbing permit for Huayna Picchu (the large mountain peak just behind the citadel). The climb is steep and a little challenging, but the views of Machu Picchu from the top are super rewarding. There are only 400 permits a day for Huayna Picchu, so you should book well in advance. Most operators request that trekkers meet back at Aguas Calientes around mid-afternoon to take the train back to Cusco. And that’s it for a standard 9 day Choquequirao trek to Machu Picchu. 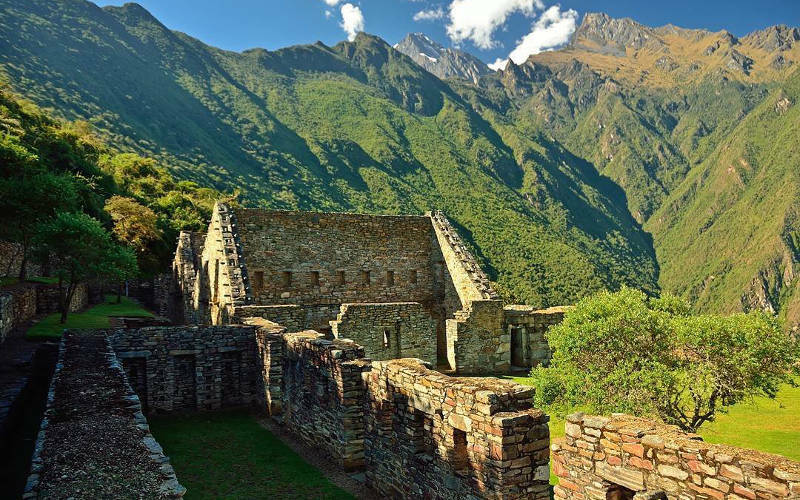 See the alternative treks below if you are looking for a more compact Choquequirao excursion, or indeed want to do a longer and more adventurous trek. 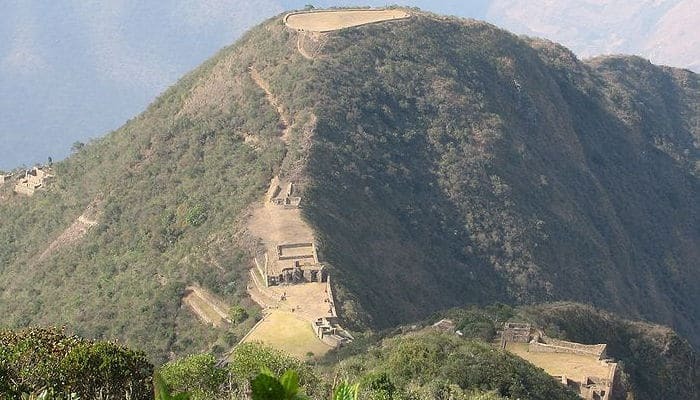 The Vilcabamba and Choquequirao Trek is also for those who have already seen Machu Picchu but are looking for a super quiet and challenging trek. The trek is shown as the green line on the map above, can be started from either the Cachora side in the south or the Huancacalle side in the north. The great thing about this trek is that it is very quiet (you will probably not see any other trekkers after Choquequirao), and you get to visit a number of notable Inca sites – Sayhuite, Choquequirao, Vitcos-Rosaspata and the Ñustahispana (the White Rock). The scenery on this route is also amazing! There are only a handful of operators who offer this trek. You’ll need to set aside 7 or 8 days to complete this trek. 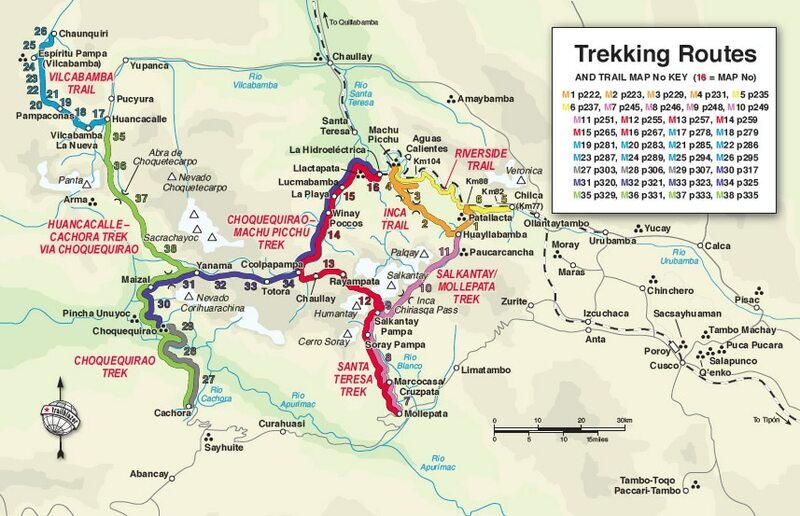 The Vilcabamba, Espiritu Pampa and Machu Picchu trek, combines the green route described above (and seen on the map) as well as another Inca site, Espiritu Pampa (seen on the light blue line on the map above). The trek runs south to north and takes approx. 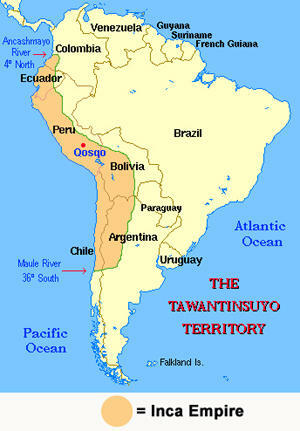 11-12 days to reach Chaunquiri (see map). From here one gets private car transport to Quillabamba and then onto Aguas Calientes to visit Machu Picchu. In total this tough trek takes between 14-15 days, but provides one of the most extensive and varied trekking options in the Cusco region. The best map that we have managed to find online is the one below from Machu Picchu Trailblazer Guidebook – we recommend getting this guidebook (see our library) if you plan to do any alternative treks to Machu Picchu. Please note, the map is not to scale and the route is only representative of the general direction of the trail. Ignore the map key as these are page references in the guidebook. Trekkers generally get a bus or private car from Cusco to Cachora (4-5 hour drive). From here the route heads due north for two days to Choquequirao (green line on the map). The trail then cuts east over the Yanama Pass (4,668m) and onto Tortoro, and then northeast up to La Playa and the Hydroelectric Station (dark blue line on the map). Below is the altitude profile for a typical Choquequirao trek. The highest point is Yanama Pass (4,668m) and the highest camp is Totora (4,100m). The Choquequirao trek is impacted by the same sub-tropical weather patterns that dominate throughout the region. Two main seasons prevail – a dry season that runs from late April through to early October and a wet season that starts mid October and runs through to mid / late April. The best time to do a Choquequirao trek to Machu Picchu is between May and September. Unlike the Inca Trail which is bustling during this time, the trail via Choquequirao is quiet and uncrowded. Do prepare for crowds in Machu Picchu as this time of year is the high tourist season. The main concern on the Choquequirao is the sun intensity, which is very high on many of the mountain slopes. Make sure to wear lots of sunscreen, have a good hat, and use long-sleeve shirts to protect your forearms from burning. The shoulder months to the dry season, April and October / November, can also be a great time to trek. The rainy months of December, January and February are not great for trekking. The Choquequirao trek to Machu Picchu is one of the tougher Inca Trail alternative routes, reaching a top altitude of 4,668 meters on the Yanama Pass. It is important to spend a day or two in Cusco acclimatising before beginning your Choquequirao trek. Staying well hydrated and taking the trek at a steady pace is key to preventing the onset of Acute Mountain Sickness (AMS). We encourage you to read our article on Machu Picchu Altitude Sickness for further details. The packing list for a Choquequirao trek is in fact very similar to the general Inca Trail packing list. 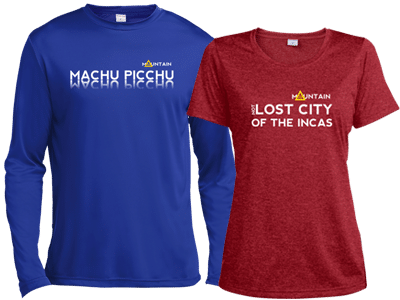 The key difference is that is that the Inca Trail is shorter than the Choquequirao trek to Machu Picchu, and therefore you should plan to bring a few additional pairs of socks, a couple more trekking shirts and one more pair of trekking trousers. For the rest of the required gear, everything stays the same as the Inca Trail. Here is a very detailed Inca Trail packing list. To prepare for your Choquequirao trek we recommend reading our Machu Picchu trek training programme. Insurance for your trek to Machu Picchu is a must. Most operators will require you to carry sufficient travel insurance for your trek. As most trails to Machu Picchu go over high 4,000m passes, you will need to make sure your insurance covers you for high altitude hiking (up to 6,000m). We have reviewed a number of travel insurance providers. The most affordable and best by far is World Nomads. Use the Calculator below to get a travel insurance quote for your trek. If you have any unanswered questions on the Choquequirao hike, or indeed, if you would like to add some nuggets of wisdom to this page please leave and comment below and we will respond asap. We welcome questions and constructive feedback. If you found it helpful, please help us keep the site alive - Share it and comment bellow! hola, llego a Cusco la semana que viene y me gustaria hacer Choquequirao treck. Cuando es el siguiente tour? Y cuanto vale? Gracias! Did the 4 day Choquequirao trek a few weeks ago and it sure was tough! Not sure if I could ever do the 8/9 days version. Thanks for the detailed explanation! Sure thing Owen, glad you enjoyed it. Yeah, the 8 day excursion is quite a big step up! All the best! Interested in the Choquequirao-Machu Picchu trail, but not necessarily the 6-7 day experience. How likely are we to find a lift from Yanama to Hydro-station? Can/should we organize the lift ahead of time? I read that folks have done it but there were not many details provided. This would be a self-organized trip. Hi Alexande, I’m not sure of the answer but I suspect it would realtively easy to arrange transport in Cuzco before your trek. Hope this helps! is there a reason no organized treks start with Machu Picchu and end with Choquequirao or some other site? It seems since MP is at a lower elevation it would be good to acclimate and start there and finish far away from the crowds. Hi Karen, that’s a good point but I’m not aware of any organised tours that run in that direction. Having said that, most tours operators can arrange a bespoke tour if you are trekking privately. Would it be possible to do this trek on Mountain Bikes? Hi Griff, it would be possible but you would need to carry your bikes on portions of the trek.